Northumbria Gems was established in 2010, when I began handcrafting natural British stone and semi-precious gemstone, found locally, into jewellery. With a lovely collection of genuine sea glass, from years of trips to beaches along our north-east England coast, I included handmade sea glass jewellery in my range. My first interest in geology was inspired early on, when prospecting for gemstones with my family in the gem fields of Queensland, Australia. We found raw amethyst, sapphire and smokey quartz, and my father subsequently began gem-cutting using our finds. I use stone-cutting techniques to shape my stone and gemstone, so the cabochons in my jewellery are ethically made. 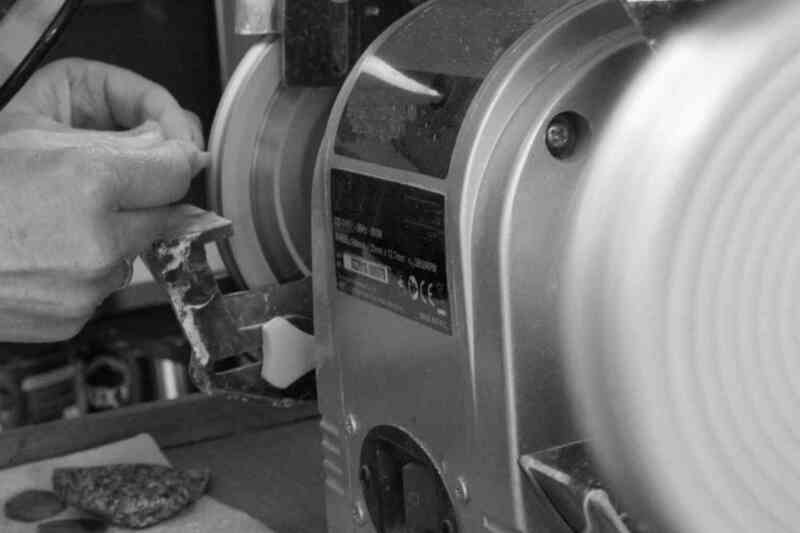 Lapidary and silversmithing skills enable me to offer unique jewellery handmade from design to completion, as well as increase my use of ethical silver, for example, my made to order jewellery. Some of these pieces are sent to Sheffield Assay Office for hallmarking. 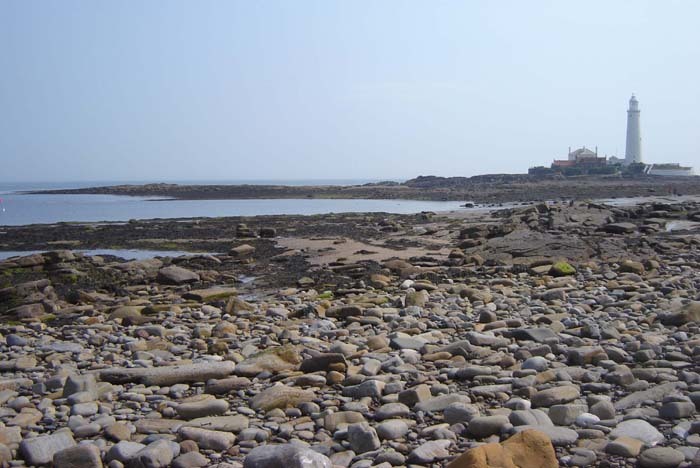 I collect the semi-precious stone and sea glass myself, along Northumbria’s natural, unspoilt coastline and among Northumberland’s wild, remote hills. These are local and sustainable resources which lend themselves to beautiful and unique jewellery pieces. Where I use other types of gemstones these will also be cut and shaped by hand locally, either by me or my father - none are purchased cabochons. The natural stone and gemstone in my men's and women's jewellery includes natural and untreated British quartz, carnelian, jasper, flint, agate and fossil stone. I collect this in Northumbria, northern England to handcraft into cabochons for sterling silver earrings, necklaces, rings, bracelets, and brooches. Some raw quartz and flint stone I polish in its original shape. I also handcraft jet jewellery in genuine Whitby jet from the North Yorkshire coast, sourced from an established Whitby supplier. Where I use other types of gemstones these will also be cut and shaped by hand locally, either by me or my father - none of these are purchased cabochons. The genuine British sea glass in my jewellery is formed from decorative glassware, discarded bottles, even industrial glass which found its way into the North Sea. Some is evidence of north-east England’s industrial heritage and famous glass-works, the glass-making tradition continued today by Sunderland’s National Glass Centre. The sea glass has been shaped and frosted naturally, tumbled by the North Sea's waves over many years, then washed up by the tide. 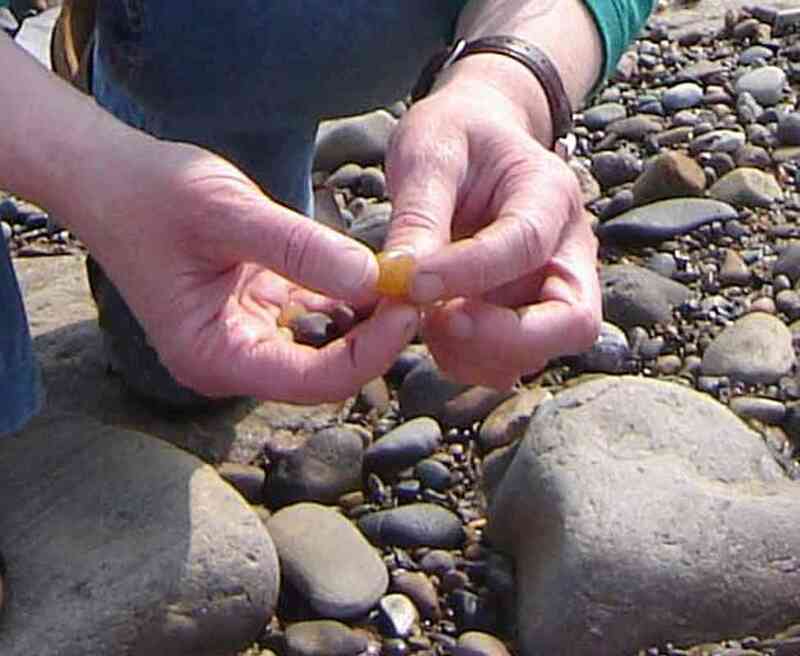 I collect it by hand on beaches along Northumbria's beautiful coastline. 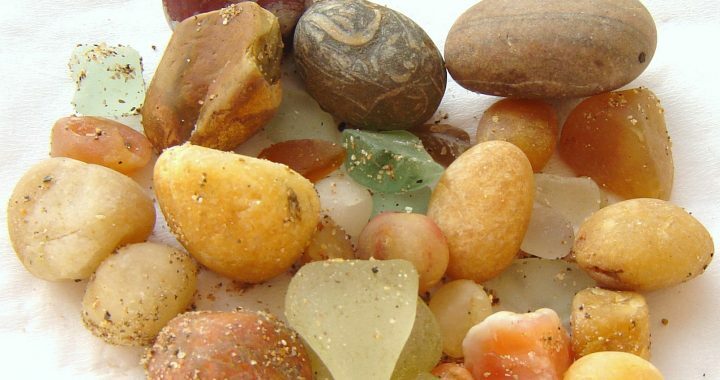 These unique 'sea gems' come in a variety of colours and textures, some are quite rare. Though identifying rocks and minerals can be difficult due to their variety, and often similarity, each stone I collect is identified to the best of my knowledge, supported by careful reference. I also follow UK guidelines on sustainable collection of natural resources, to preserve our natural environment. If you have any questions, please feel free to get in touch via my contact page. You can see Northumbria Gems jewellery here.